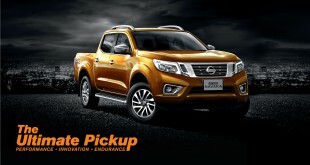 Nissan promoting the Navara pickup truck line-up as a Big, Bad Mother Trucker is no way a fairy tale marketing slogan. I can’t denied that the Nissan Navara is one of the biggest in size, powerful, and most importantly, amazingly comfortable at its class comparing to its rivals like Ford Ranger, Toyota Hilux and Mitsubishi Triton. At this point of time, Edaran Tan Chong Motor offer the Nissan Navara with a total of five variants – Double Cab 4WD Automatic (LE), Double Cab 4WD Manual (SE), Double Cab 4WD Manual (Standard), Double Cab 2WD Automatic (Calibre) and King Cab 4WD Manual (Standard). Freshly, I have picked up the keys of the Nissan Navara King Cab for our regular weekend drive. This time it is slightly different as the test script provided by our producer includes testing the vehicle off-road capability. At this moment of writing this, I couldn’t find a suitable word to describe but it is certainly one of the best pickup truck that I ever driven in Malaysia. 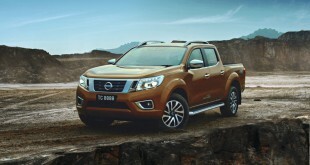 To begin, the Nissan Navara King is a two seats pick-up truck. For your information, pick-up truck is also known as UTE to the Aussies. The Navara King Cab comes with pillarless door and unique rear-hinged doors that opens wide up to 90-degrees similar to Mazda RX-8. 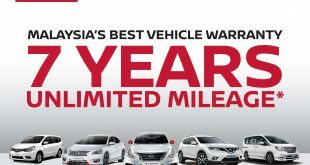 Basically, it offers more in-cabin storage spaces and the convenient of loading and unloading than any other two door two seat pick-up truck. The Navara King Cab also has a larger rear cargo space than double cab. The Navara King Cab features a 2.5-litre 4-cylinder DOHC 16-valve Common Rail Direct Injection diesel engine with Variable Nozzle Turbo and Intercooler. This forced induction diesel engine is churning 128kW (174ps) at 4000rpm and 403Nm of torque at 2000rpm mated with 6-speed manual transmission. The turbo charger with Variable Nozzle Turbine (VNT) offers very minimal turbo lag as well. Apparently, the new YD25DDTi diesel engine is great as the ride is now quieter and less vibration comparing to the older Nissan Frontier. Accordingly, the new Balancer Shaft system is the culprit to this great improvement. Interestingly, this aluminium differential cover (in the picture above) features heat-ventilating fins that help prolong the life of the differential lubricant. The Navara uses electronically controlled 4WD system which allow the driver to ‘shift-on-the-fly’ between 2WD and 4WD (4H) without having to stop the car as long as the traveling at less than 100km/h. It also come with Limited Slip Differential (LSD) as standard. I have put a challenge to the Navara King Cab by cruising on wet and muddy terrain near Semenyih. It is not surprise to me that crossing river and climbing on high slope are effortless due to its high clearance and powerful engine. On the negative aspect, I reckon the mother trucker is enormous for zipping around the jungle trail due to its long length and turning ratio (6.5m). Likewise, rainy day on the highway terrain, I can feel slippery from the rear wheels when the max torque of 403Nm kicking in. This is common on cars with high torque regardless a diesel or petrol engine, front-wheel drive, rear-wheel drive or all-wheel drive. Thus, here is a little tip: whenever you feel the rear wheels are losing traction, try to slowly let go your accelerator to gain back the traction on the road and do not attempt to accelerate more. This King Cab is a standard model which is designed to be a reliable workhorse. Hence, many fancy features are excluded like the Xenon headlamps, leather seat & door trim, rearview mirror with dimming control and 6CD changer with MP3. Those are replaced with standard Halogen headlamps, fabric seat & door trim and single disc headunit. On the safety side, I regret that it doesn’t come with ABS, EBD and SRS airbags as well. Just like other pick-up truck, the Navara King Cab comes with a newly revised ladder frame chassis, front independent double wishbone with coil over shock absorber and front stabiliser bar and leaf spring with shock absorber on the rear. This new chassis platform effectively counters the impact and vibrations of the road for smooth ride quality. Braking wise, the Navara fitted with front ventilated disc brake and rear drum brake with load-sensing proportioning valve (LSPV). It also comes standard with 16-inch alloy wheels wrapped with 255/70R16 tyres. The Nissan Navara King Cab is available in four colour variants – Tungsten Silver, Twilight Grey, Brilliant White and Supreme Black. Regardless you are buying the Nissan Navara King Cab as a workhorse or as a offroad vehicle, it comes with 3 year or 100,000km warranty. 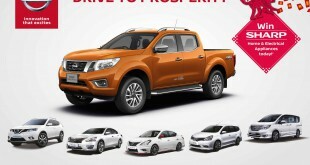 The new Nissan Navara King Cab is priced at RM 82,817.10 on-the-road inclusive of insurance, road tax, registration fee and ownership claim fee for Peninsular Malaysia.